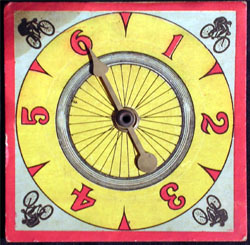 One of the first cycling games and one of the most important ever (my opinion). 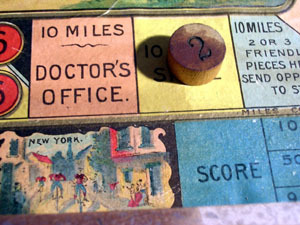 Although the former owner spilled an oil can on this copy of the game, I am really proud to have it in my collection. 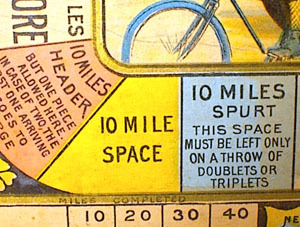 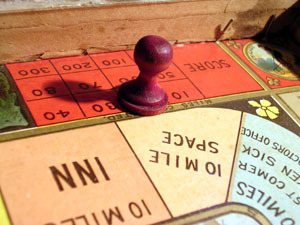 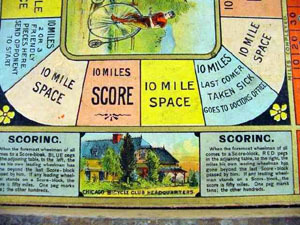 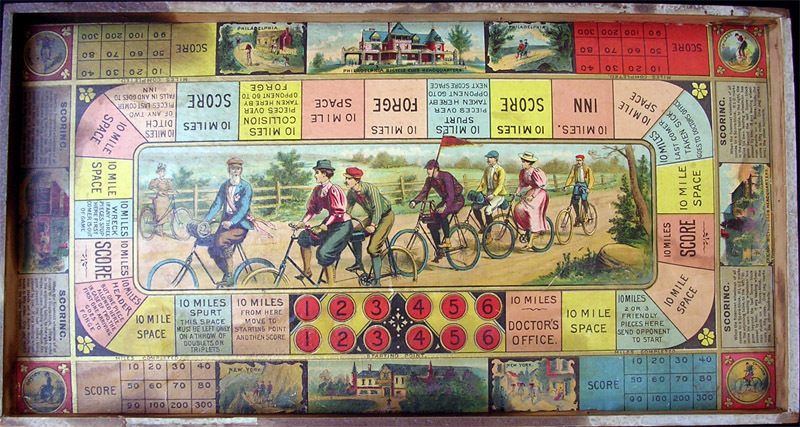 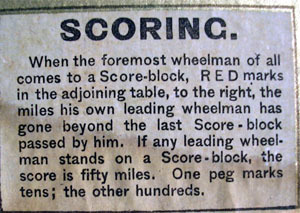 There are two versions of this game, both from 1891, as far as I know (apart from The Game Of Bicycle Racing, a similar, though simpler, game from 1901. 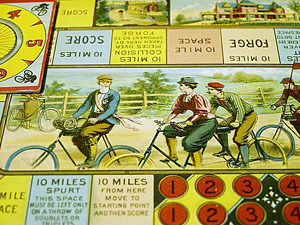 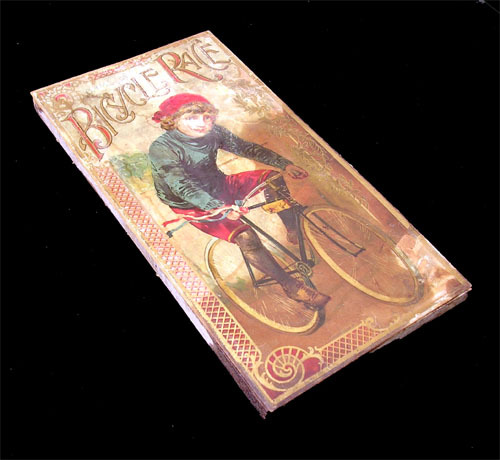 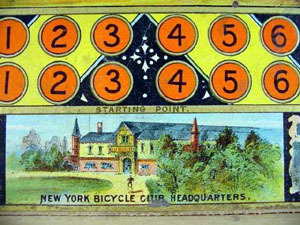 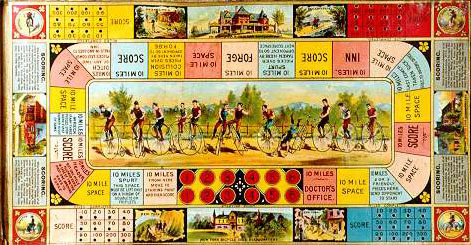 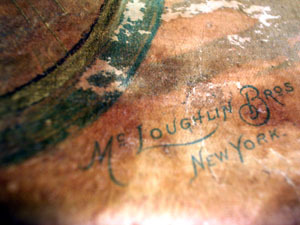 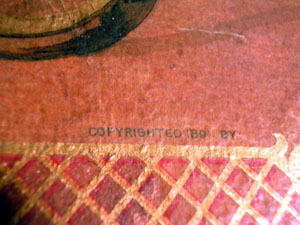 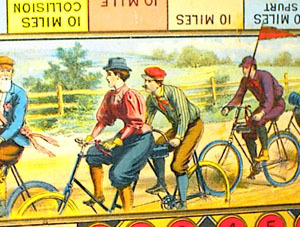 On the other hand, McLoughlin Brothers' 1895 "Game Of Bicycle Race" is a completely different game). 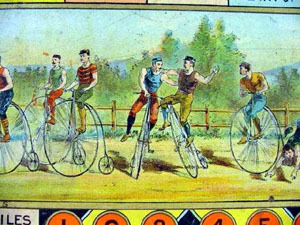 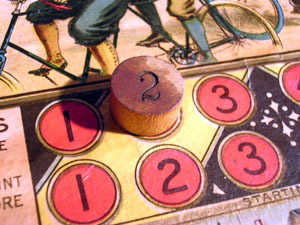 The other version is subtitled "a game for the wheelmen" and is supposed to represent a penny-farthing race .